BUGOLOBI – Ahead of the new Uganda Premier League season, unlike in the past few seasons, top performing individuals will be awarded monthly. This was confirmed during a press briefing on Thursday morning at the Khalif Suits in Bugolobi where sports agency, Real Stars unveiled their plans to award individuals starting with those in the Uganda Premier League. 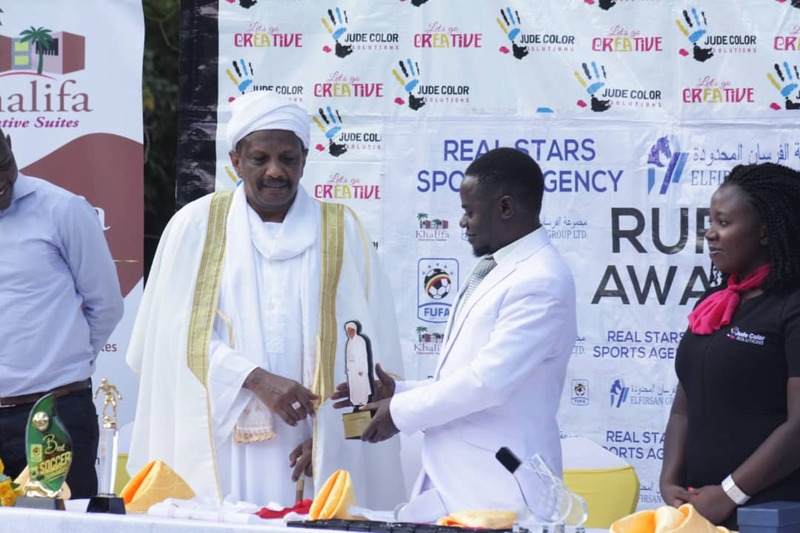 “We at Real Stars Sports Agency have decided to award top performing individuals in several disciplines monthly, said Isaac Mukasa-President Real Stars Sports Agency. “Over the years, we have realised that it is one of the motivational factors that have been missing in the industry. Mukasa further Enlighted that these awards will be based on data compiled by a panel of journalists that will attend the different sporting disciplines over the course of the month starting with the StarTimes UPL in October. “To ensure accuracy and non-bias, we will appoint a panel of 10 expert journalists per sporting discipline who will attend and compile data at several events and later make a report about the outstanding individuals. “We will start with the StarTimes Uganda Premier League next month. The awards will sweep across several sports disciplines including Basketball, Football, Netball among others. For the first month, only individuals in the StarTimes Uganda Premier League will be considered. A manager and one player who will have been chosen as the best among the rest will walk away with 500,000Shs, an award from Jude Color Solutions, fuel covering a period of one month and a treat from Khalif suits where the individual will spend a night with their partner. For Basketball, the awards which will take place on the first Friday of every month will take effect at the start of the 2019 season which starts early next year. 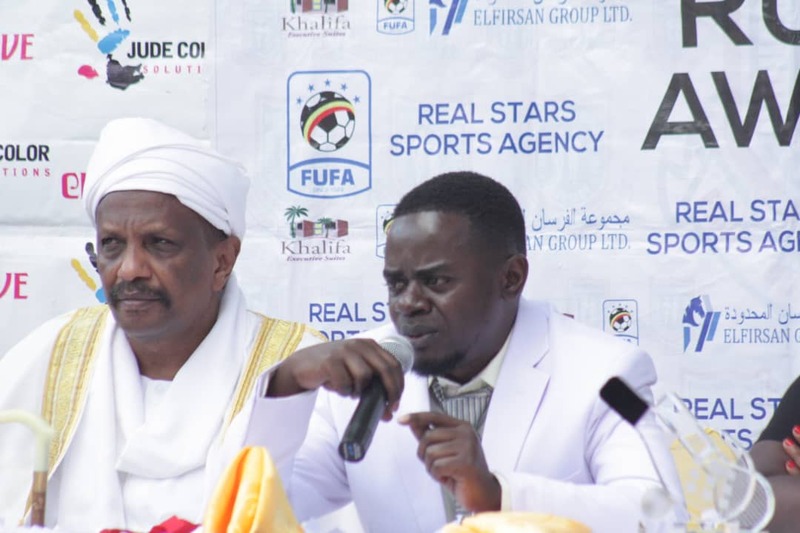 Also speaking at the launch of the awards, Proprietor Elfirsan Labour Exporting company and Khalif suits, Mr Muhammed Tareq expressed his delight in being part of the development of Sports in Uganda. “We are delighted to be part of the whole process of motivating Sports personalities, said Mr. Tareq. “We will offer our support to the cause as it will in turn help several individuals excel in their respective disciplines. “On top of the earlier mentioned benefits of winning the accolade, i can confirm that each winner will be given an opportunity to bring five people who will be helped in acquiring Jobs in the Middle East through our company Elfirsan. Mr. Tareq through his companies has invested 26 Million shillings on top of the 18 from Jude Color solutions who will also manufacture the awards. “We will provide the awards which will be designed according to the winners’ tests, said Jude Color Solutions PR, Madrine Nabatanzi. “Jude Color Solutions decided to be part of the whole process as it helps support Sporting talent in the country and also help cub unemployment in one way or the other. Also in attendance was former SC Villa Captain Andrew Mwesigwa and KCCA FC legend Jackson Mayanja who both lauded the initiative and cautioned Real Stars Sports Agency to be fair and neutral. The awards will also cater for fans, where the most consistent and enthusiastic fan of each club will be rewarded accordingly.